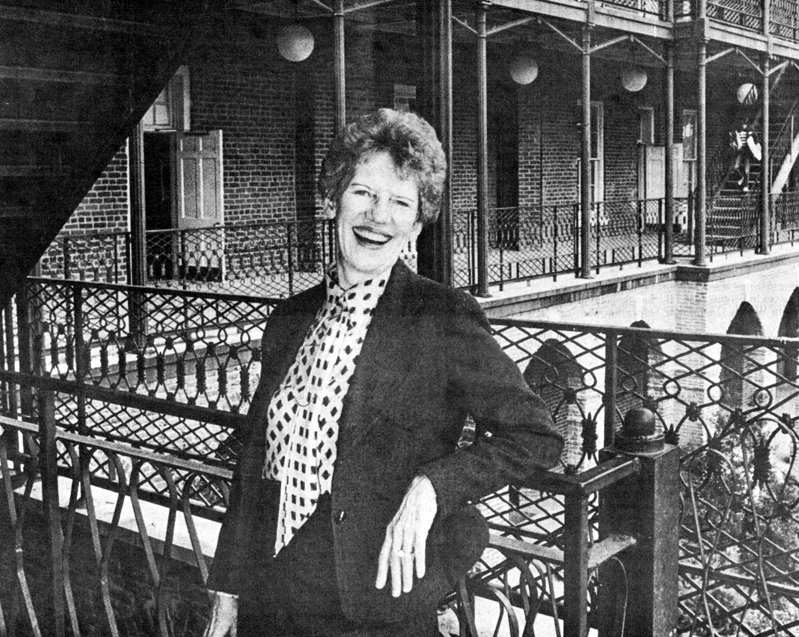 In the spring of 1982, new art department chair Dr. Virginia Rembert poses on the porch of Woods Hall. Photo by Lee Ann Lutz (BFA 1980) and courtesy of the UA College of Arts and Sciences. In the spring of 1982, new art department chair Dr. Virginia Rembert poses on the porch of Woods Hall. Photo by Lee Ann Lutz, BFA 1980, and courtesy of the UA College of Arts and Sciences.